For Kane Roberts, writing and recording “The New Normal,” his first new solo album in seven years, felt like taking a step in the dark. “It was one of those situations where I’ve been off the grid for quite a while. I hadn’t been in the public jet stream of rock and roll and recording and playing live. I played it for my friend Kip Winger, and he said, ‘I can run this by Frontiers to see if they’re interested,’ and Serafino and Mario agreed to it,” Roberts said. Out today on Frontiers Music, “The New Normal” more than surpasses the heavy metal standard with a bold cinematic, atmospheric sound filled with electrifying guitar solos, majestic drum beats and mesmerizing bass lines. In a sense, it’s akin to hearing Roberts’ personal soundtrack as his life plays out before listeners’ eyes. Roberts, an iconic heavy metal singer and guitarist who’s worked with Alice Cooper, KISS, Guns N’ Roses, Rod Stewart and a host of other renowned artists, spent three years writing and recording 10 tracks for “The New Normal” with producer Alex Track. He opted to record “The New Normal” at Track’s studio and bust out of his comfort zone after releasing “Unsung Radio” in 2012. “I ended up recording at his place from about 9 a.m. to four or five in the morning, five nights a week. 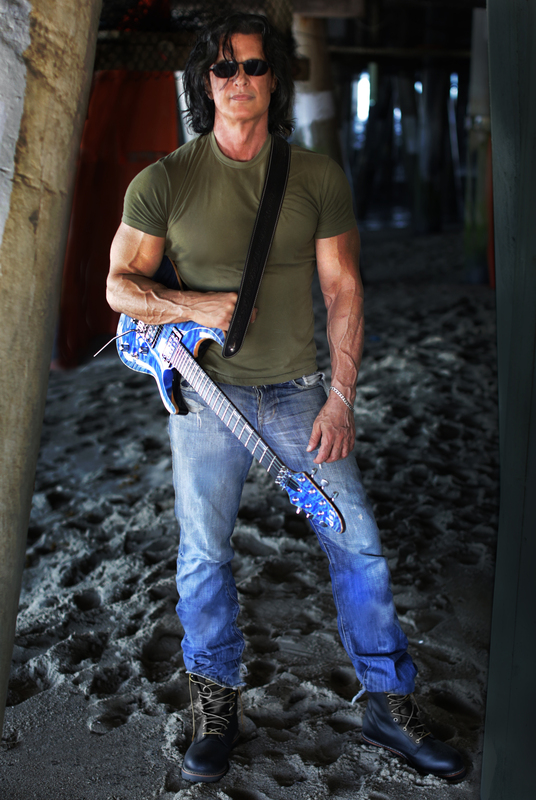 It was a matter of discovery, I wasn’t sure how it would go, I knew that I wouldn’t quit until I got it done properly,” said Roberts, who’s also famous for his ‘80s machine-gun guitar and body-builder image. Roberts built his robust cinematic sound with the help of several powerhouse heavy metal artists and musicians, including Alice Cooper, Kip Winger, Arch Enemy’s Alissa White-Gluz, Paul Taylor, Ken Mary, Nita Strauss, Babymetal’s Aoyama Hidecki, Shinedown’s Brent Smith and Halestorm’s Lzzy Hale.